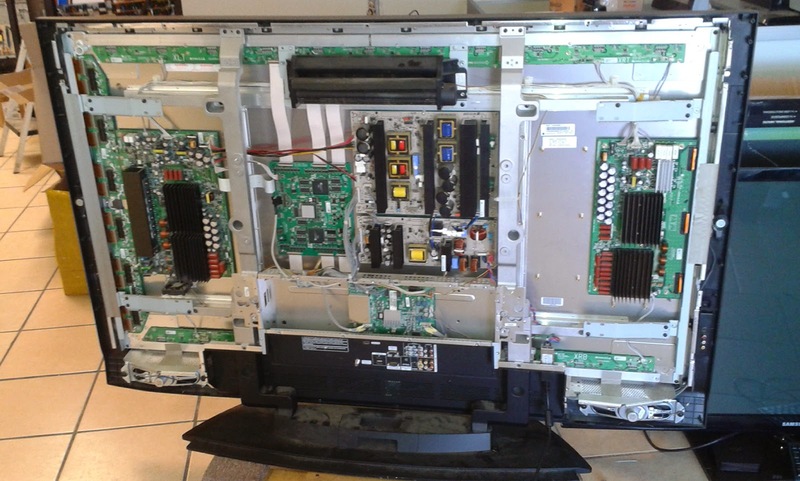 I don't usually write about TVs we don't offer a repair for here, but I am making an exception here. First, we may actually start offering a repair service for the 6871QYH057B YSUS and 6871QZH060B ZSUS boards eventually (search at www.coppelltvrepair.com to find out) and second, the two boards are awfully close in design to the 50'' versions utilizing the same IPM modules, to which we are probably the single biggest service center in US, possibly after LG themselves. The complaint was a dark, blotchy image and unfortunately at the time I did not take a picture of the display. The tech who brought it (we often get TVs by local TV repairmen, probably more often than we get TVs from end users locally) said the fuse on the ZSUS board blows as soon as the TV gets started. Actually he also said he got a replacement board from Union Electronics, but it came with a blown fuse, so they exchanged it and the second one worked for 5 minutes and also blew the fuse. That got me a little nervous because it meant the problem could have been elsewhere , e.g. in the plasma display controller, which could have been messing the signals and overheating or just crashing the IPMs on the ZSUS board. 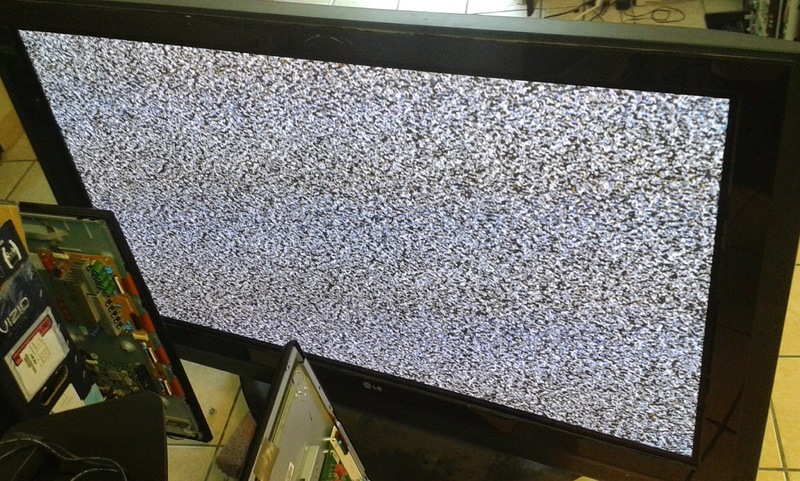 I've seen that in other TVs, although rarely. Anyway, at the very least it was clear where to start, so I took the ZSUS board 6871QZH060B out and checked the IPMs. There were no shorts and the E versions were used from what I could tell (YPPD-J015E and YPPD-J016E since both were thin and only had 2 screws for the heat sinks meaning they weren't C or B versions). In the 50'' models that we've done easily over a thousand of, when the E version is used the two most common failures are 1) failure in the J016E resulting in a particular shortage; and (remote second) failure in J015E almost always resulting in one of several possible shortages (e.g. Vs to GND or SUS_OUT to GND or Vs to SUS_OUT). Well on this 6871QZH060B there were no shorts whatsoever. As you can see the SUS IPM has left a nice good proof of a failure on the board. Since it could have been killed by a failed ER module, though, I did replace both. We always do. Well almost always. A certain failure in the ER module alone can be treated by replacing the ER alone. However a failure in the SUS module is best addressed by replacing both - that's what we've learned early in our experience with those and it has served us well. It worked that way for about 2 hours and then we delivered it back to the happy repairman. We charged $120 for that and I am sure it ended up costing well over $200 to the customer. Frankly I think it's fair if the guy had to order two boards, haul the TV to his shop and then to us and then back to his shop (where he'd be testing it longer) and eventually back to the customer. Come to think about it..perhaps over $300. 1) Here's where you can buy replacement IPMs for 6871QZH060B . 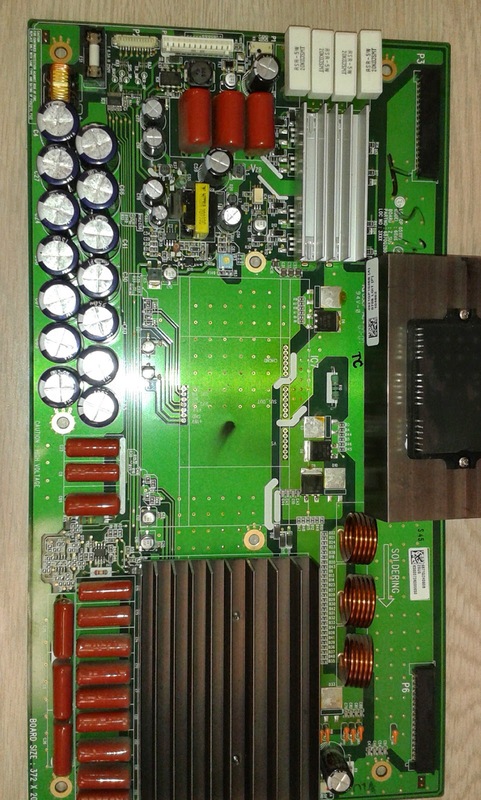 2) Here's where you can buy replacement ZSUS board 6871QZH060B. I need the button control board where can I get it?